Generally most sandals can be given a quick rise under the hose and some, like Keens, can be tossed into a washing machine; however, sometimes a great funk arises to offend the olfactory senses. 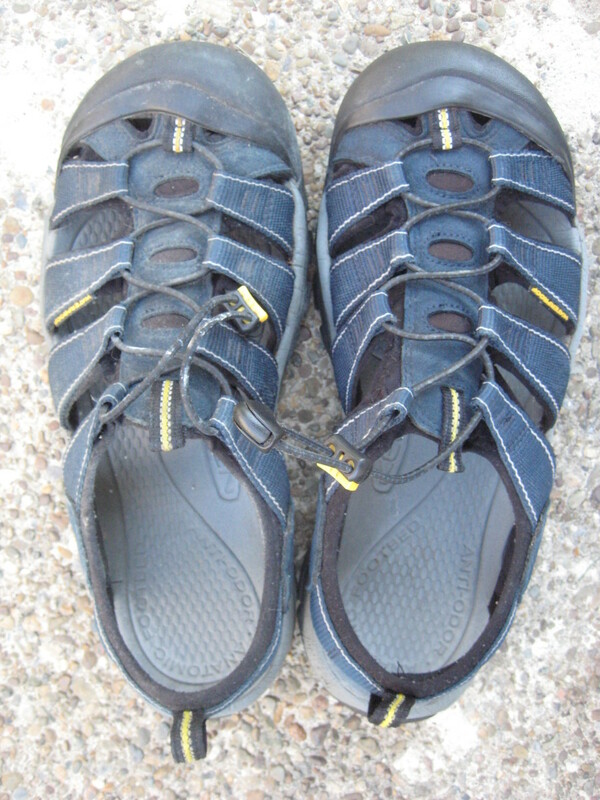 The thing is, if your sandals stink, there is most likely bacteria growing in the footbeds and straps. These stinky little buggers eat away and weaken the material over time. So not only do your sandals clear campsites, but they are breaking down with every smell-filled day. This article demonstrates how to clean funky sandals in just six easy steps in about five minutes. You'll save money, water and electricity with this method as opposed to letting them romp around in your washing machine for half an hour. Your spouse makes you keep them outside. The local gas station made an addendum to their "No Shirt, No Shoes, No Service" sign with "No Smelly Sandals" - it has your picture next to it. While going for walks at the beach, friends encourage you to stay downwind. A skunk has initiated a mating ritual when within the smell radius of your sandals. Anyone from the EPA has investigated your property for a strange odor. You walk into a shoe store and the salespeople don protective clothing. My Keen Newports have been a great companion on trails and around town; however, they started to get the funk. No, they didn't start listening to Wild Cherry - they just stunk. Then I did the unmentionable, and something that a gear guru knows better than to do. I stored them wet! I came home from a bit of creek walking, threw my wet Newports into a bag and tossed them into gear purgatory in the basement. When I remembered where my favorite sandals were, I was in for a big surprise. Not only did they have the pungent aroma of foot funk, but little colonies of mildew dotted the blue webbed shoes. 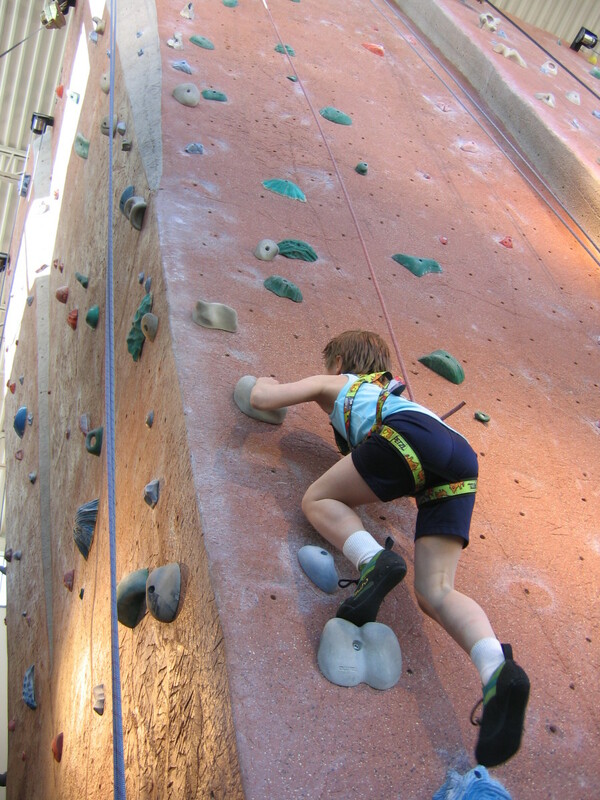 I had to act quickly and decisively to rescue my Keens. 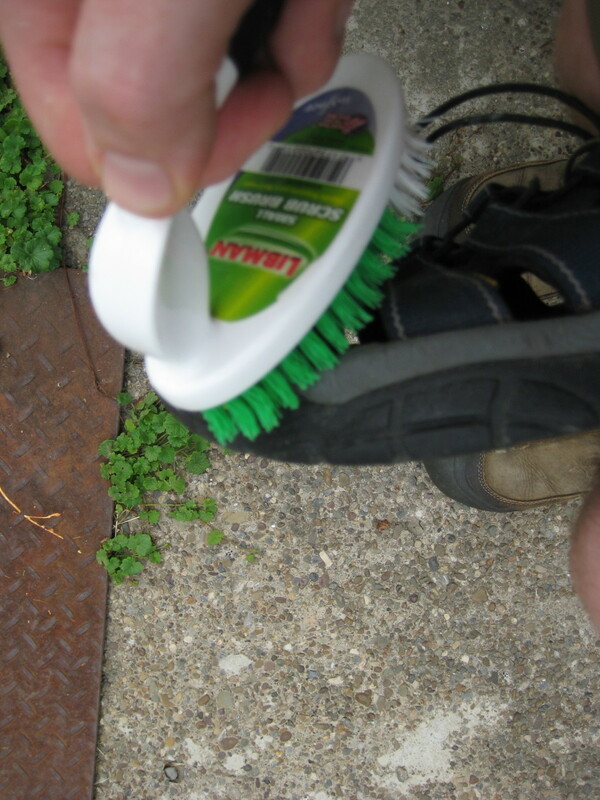 The first step to any footwear cleaning ritual is to go outside and remove the loose dirt and grime with a stiff bristled brush. Doing this outside will reduce the amount of mud you have to strain out of your sink later on. At this point, it is a good idea to thoroughly scrub the tread too. You never know, the smell emanating from your sandals may be the residual remains of excrement from your neighbor's dog. 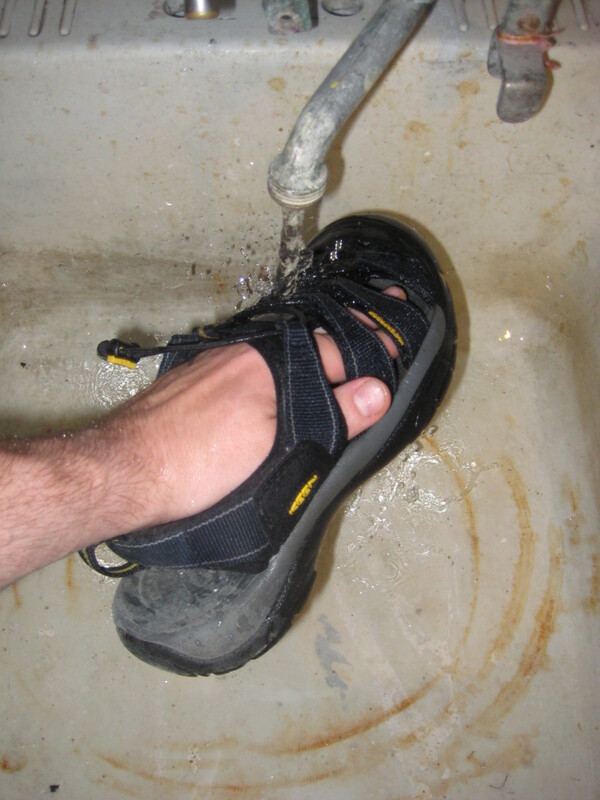 The second step to cleaning your funky sandals is to wash them under a warm water faucet and continue to scrub any wayward particles down the drain. You may find it a good idea to have two brushes for your cleaning needs: a wet brush and a dry brush. Using the two brush system keeps things a little tidier, especially if you are using the kitchen sink. 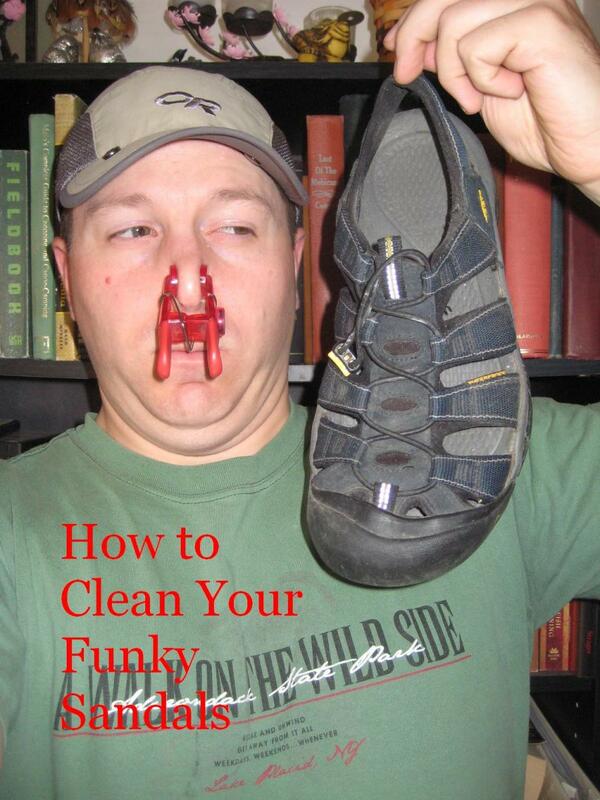 After removing the visible grime, it is time to soap up your sandals and allow the defunkification to begin. 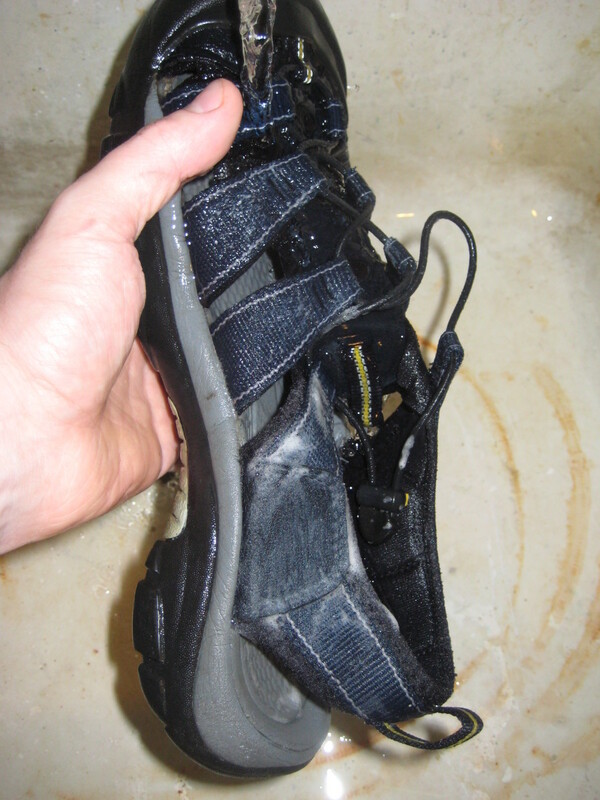 If you are cleaning a closed-toe sandal, use special care to get inside the webbing by the forefoot. If I was bacteria - this is where I would hide. 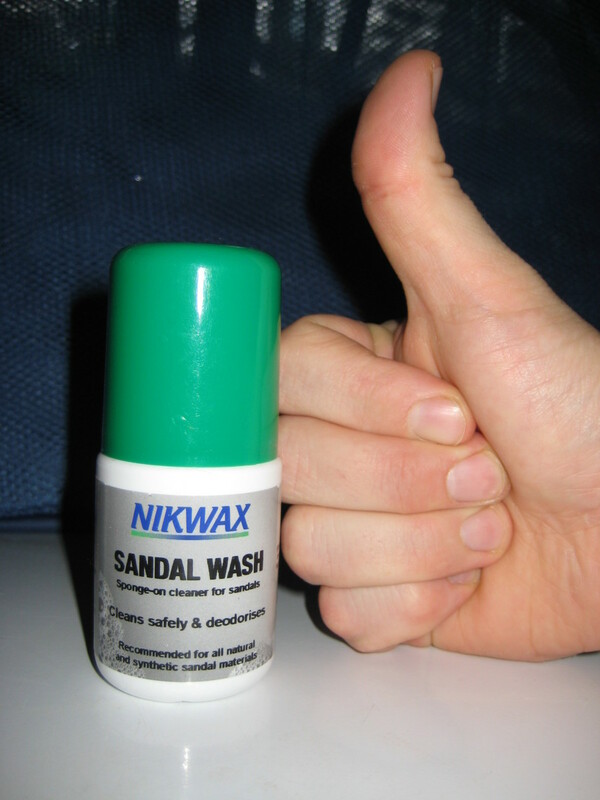 The easiest to use and best performing soap I've used is Nikwax Sandal Wash. It removes the stink and leaves shoes looking and smelling great. If you are using Nikwax, remember to shake the container before opening. (Just imagine you are giving a soda to that cousin you never really liked.) Also, be sure to press down on the applicator sponge to break the seal - you should hear a slight "click." 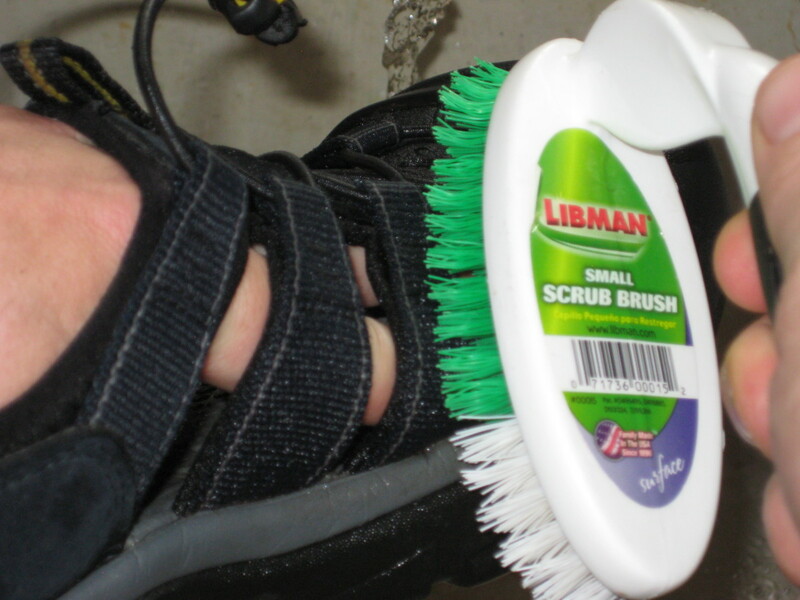 If you are in cleansing combat with a stubbornly dirty sandal, it is time to scrub the shoe again. For some cases of foot funk, the soap sponge applicator is never enough. Use a stiff bristled brush to scrub away the grime. If your footwear is leather, avoid the harder brushes and opt for something like a nail brush to scrub away the stink. After your sandals have been sufficiently lathered, rinse them with clean water. 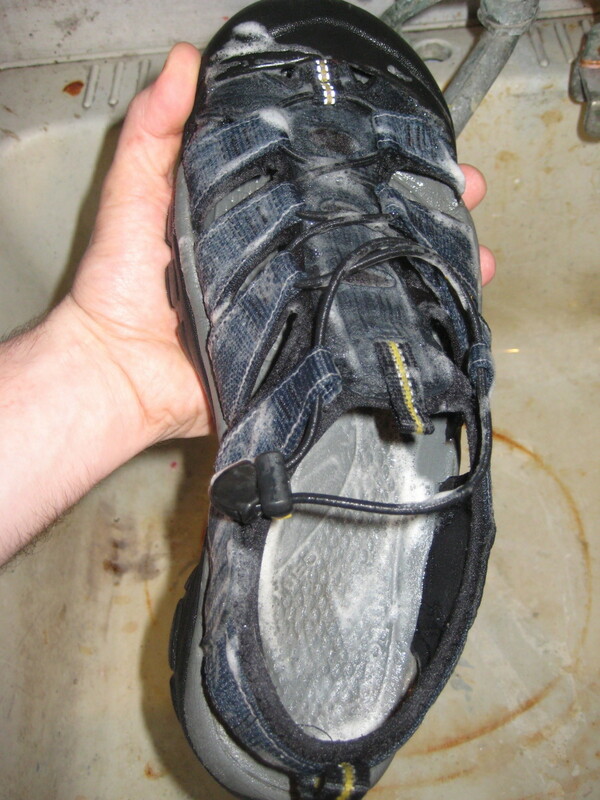 Again, with closed toe sandals, ensure that the soap has vacated the toe box. At this point, go ahead and take a whiff - your sandals should be smelling pretty dang good by now. Now that your footwear is clean, it is time to dry them. Before drying sandals in an oven like Mr. Bean drys his underwear, please read ahead. It is best to complete the cycle away from a direct heat source. What works best for this author, is to throw them on the back step out of direct sunlight. There is plenty of air circulation and they'll dry in a few hours. 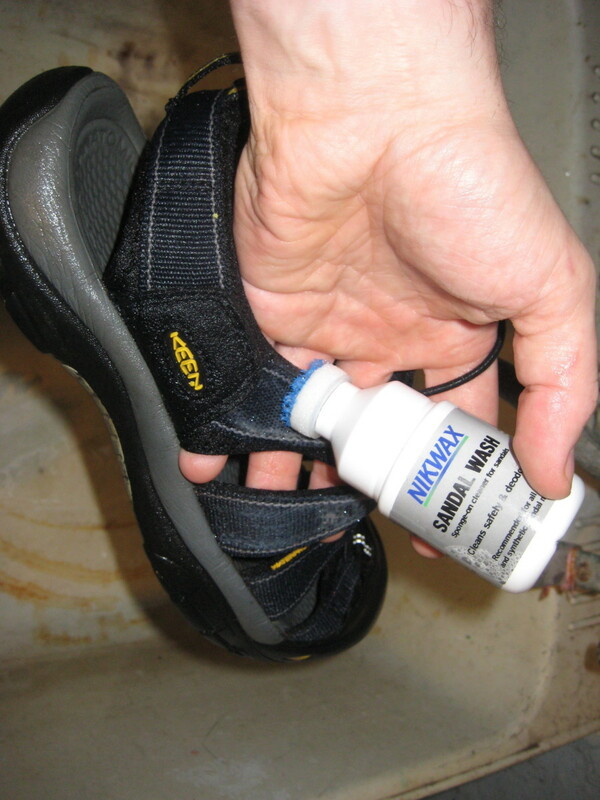 Nikwax Sandal Wash is a fantastic way to remove the odor causing bacteria from your footwear. 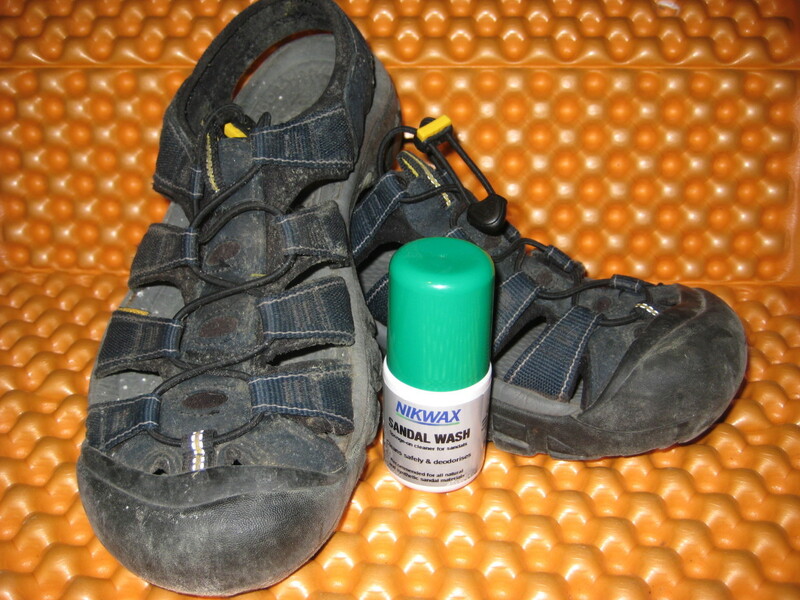 As someone who has rescued smelly sandals from the brink of exile, I trust Nikwax's Sandal Wash to clean my funky sandals. For something so inexpensive, it works surprisingly well. Plus, a bottle will treat a small sandal collection to sweet smelling bliss. The first reason I like it, is that it works on a variety of materials (leather, fabric and synthetic) so you don't need multiple cleaners for one job. "No propellant gases, non toxic, environmentally safe. Not tested on animals. Does not contain fluorocarbons"
The third reason this cleaner is fantastic, and perhaps the most important, is that it works. I haven't met a sandal yet that it hasn't defunkified. How do you clean your sandals? You have to wash sandals? What 'chu talkin' bout Willis? It is hard to talk about stinky sandals without having a joke or two in there NatNat34 - I'm glad you got my humor. I'm a huge Nikwax fan and use it for cleaning all my outdoor gear - great stuff. Thanks for reading and commenting! Great (and humorous) hub on a problem many have...I like how you advertised a product that many can use and for good reason! I did the best to make the mundane and sometimes grotesque task of cleaning the funk out of one's sandals as interesting and humorous as possible. Thanks for the comment cc! Awesome tutorial. Useful and entertaining as always. I'm sure that this step by step approach to clean sandals is very helpful to many. Thanks for your thoughtful presentation. Much to wife's displeasure I am one of those kinds of people that rarely throw anything out. When I can, I like to fix and reuse what I can. The rest of the stuff just builds into a great pile in my basement. Hey you never know, when you'll need a broken toaster over. 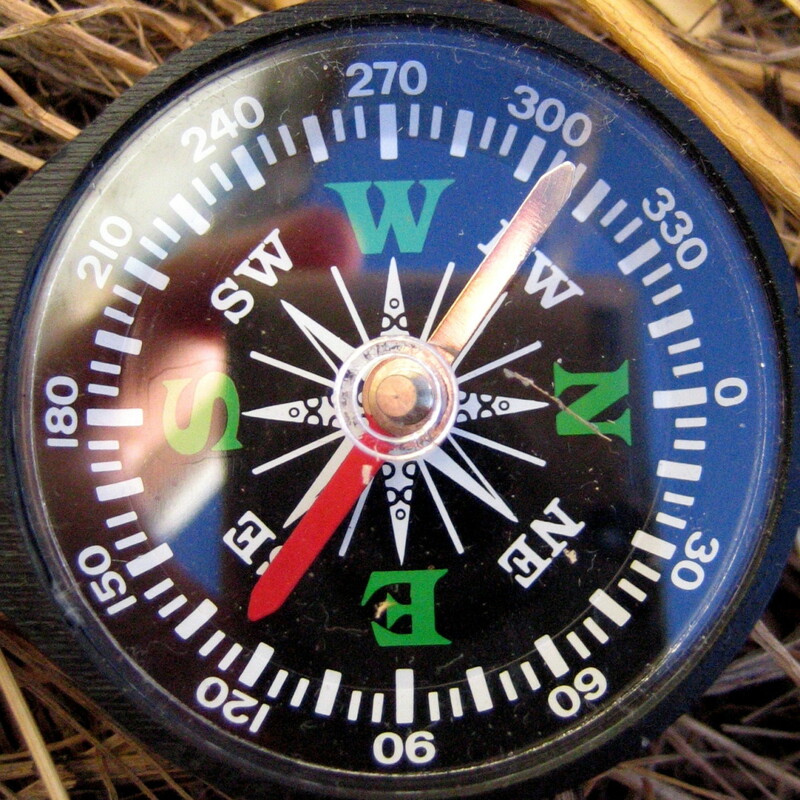 I'm glad you found it useful and thanks for reading mylindaelliott. Great tutorial. I would have thrown them out before I read this.